We have been providing a host of tree services to residential and commercial properties in the Central Valley, Stockton, Modesto, Ripon, Tracy, and the surrounding areas since 1991. As the years have gone on by our approach to customers haven’t changed much, though our services have expanded over time we continue to offer tree removals, trimming, crown reductions, planting, and much more. And, we believe in quality, integrity and a job well done. Our state license number is 788558. Call us at 209-239-7052 or email us at steves8733@gmail.com for a free estimate! We pride ourselves in ensuring that all properties are safe and free of any hazardous tree situations. 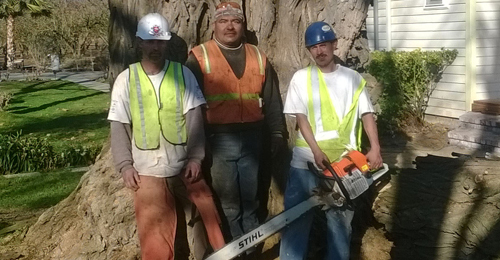 So, call us the next time you need a tree removed or a dangerous overhang handled. We care about our customers and that’s why we are happy to show customers how we work and projects we have completed. Customers never have to worry about clean up after our services. We remove all debris from jobs without disturbing the surrounding environment. No job is too big or too small for us. Whether it is a residential or a commercial job, we treat each customer with respect and integrity. What separates us from the rest is our experience, expertise, and dedication to service. Customers won’t find another company like us that will go the extra mile. To get a real sense of what we can do, check out our gallery. We are a family-run business that was founded more than 20 years ago. We take care of our customers because we are passionate about this business. 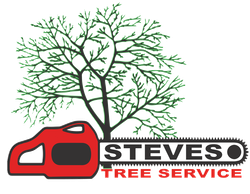 Steve's Tree Service, , . © 2019, Steve's Tree Service. All Rights Reserved.